Could Exxon Mobil Corporation (XOM) Be Exiting California Because of Stringent Environmental Rules? Exxon Mobil Corporation (NYSE:XOM) is rumored to have finally given in to the strict and tough laws that have had refineries packing and living the state. The tough environmental laws have over time had big oil companies leave the State, and now Exxon Mobil Corporation might be the next in line to throw in the towel. The Torrance plant that produces 155,000 barrels per day is now under tight scrutiny by Exxon Mobil Corporation (NYSE:XOM) in a bid to either sell it or move it to a different location outside the state. The plant claims to have a zero tolerance on negative impacts to the environment Even though this was the second smallest plant of the nearly a dozen plants held by Exxon Mobil Corporation (NYSE:XOM), maybe they are just not ready to lose it. 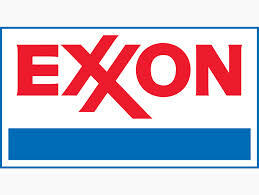 With big oil companies such as Royal Dutch Shell plc (ADR) (NYSE:RDS.A) and BP plc (ADR) (NYSE:BP) already out of the state, it is safe to say that other oil companies such the Exxon Mobil Corporation (NYSE:XOM) may also follow suit and pull out their plants in the near future. BP had their Carson plant in the state sold to Tesoro after ceasing their refining activities in California State. Shell also had their Wilmington refinery sold to Tesoro, leaving them with only a single refinery plant in the state. Despite the tough environmental laws in the state, other companies are still seen to be buying and settling for work there. Tesoro, Chevron, ConocoPhillips and Valero examples of such companies, though most of them only have a maximum of two refinery plants in the state. The fact that they already have companies within the state also makes them unlikely buyers, were Exxon Mobil Corporation (NYSE:XOM) to sell their Torrance plant. A spokes man for the Exxon Mobil Corporation (NYSE:XOM) however said that the company is still dedicated to holding and conducting business in the state. He further dismissed the allegations for the sale of the Torrance plant, terming them as market rumors and the company has not yet given any official statement on the matter.